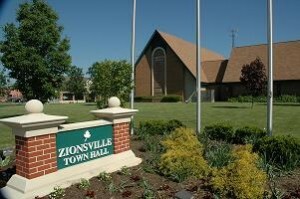 The Zionsville Town Council met Aug. 21 to discuss tracking the progress of businesses who receive incentives, re-appropriating funds and other issues. What happened: Boone County Economic Development Corp. Executive Director Molly Whitehead gave a presentation on steps the town could take to track results and compliance of businesses who receive incentives from the town. What it means: Councilors raised questions about how they could track compliance Aug. 7 when they approved a $10,000 reimbursement for Capstone Benefits Group to relocate to Zionsville’s Northwest Tech Park. Whitehead said businesses who receive tax abatements are required to file paperwork with the state tracking their progress, but Zionsville typically approves cash reimbursement incentives, which the state does not require to be tracked. What’s next: Whitehead said the Boone EDC has a form that it uses to track incentives for the City of Lebanon, and she plans to modify it for use in Zionsville. What happened: The council approved moving $96,000 from the general fund to cover legal expenses and relocation assistance for residents recently forced to move from the Zionsville Mobile Home Park. What it means: Approximately $60,000 is needed to cover legal fees for work that includes the sale of Creekside Corporate Park, TIF projects and other work. The town spent approximately $36,000 to help six mobile home owners relocate after the state found unsanitary conditions at the Zionsville Mobile Home Park. What’s next: Town attorney Heather Willey said she will research whether the Zionsville Mobile Home Park owner could be held responsible to reimburse the town for the assistance funds. What happened: The council approved the re-appropriation of money in several funds to help balance the budget mid-year. What it means: The request was not for any new funds, but rather to move money from line items with additional funds to those that went over budget. Previous ArticleColumn: Celebrity divorce vs. legal separation?